Invested $460 million+ in environmental cleanup, restoration and mitigation, successfully and efficiently redeveloping a complex Superfund site. 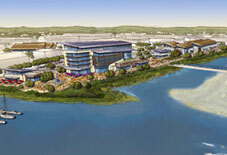 Creatively reused 325,000 cubic meters of dredged sediment to create room for private sector waterfront expansion. Adapted ships at the Port of Tacoma with electric plug-in capabilities eliminating 1,400 tons of greenhouse gas emissions and 2 tons of diesel particulate emissions annually. Opened the LEED Platinum Center for Urban Waters. Created 4 habitat mitigation sites across 22 acres of aquatic habitat. Brought the offices of the Puget Sound Partnership — a state agency focused on the environmental protection and clean up of Puget Sound — to the Center for Urban Waters. Established a $4 million cooperative agreement between UW and the U.S. EPA to operate the Puget Sound Institute within the Center for Urban Waters. 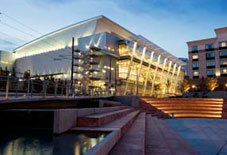 Reinventing underperforming sites into mixed-use office, restaurant and public venues. Developing shoreline habitats along once contaminated areas. 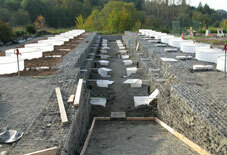 Reducing contaminants of concern in stormwater runoff by 40-80%. 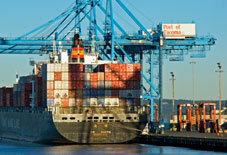 Attracting new talent through the UW Tacoma’s Environmental Science degree program. Introducing new stormwater technologies from the WSU Stormwater Research Center and the Center for Urban Waters throughout Greater Tacoma. Located at the intersection of the Puget Sound and progress, the Tacoma area is home to more than 800,000 people — and 38 miles of waterfront. Making these two coexist may be an impossible task for some cities, but Tacoma has turned the impossible into a track record of environmental and commercial success. Getting industrial, commercial, residential and recreational land to play nice together is more than just a concept in Tacoma. It is Tacoma. Having led the charge to redefine Tacoma’s urban waterfront, the City created a collaborative, community-based process to establish an area that not only fostered economic development, but maintained the natural beauty of the space. What emerged are progressive partnerships with state, federal and private sector stakeholders geared entirely toward sustaining the city’s ability to coexist with a thriving Puget Sound. Recognized multiple times by the EPA, the City has established itself on the forefront for urban coastal communities opening itself up to the industry’s leading technologies. 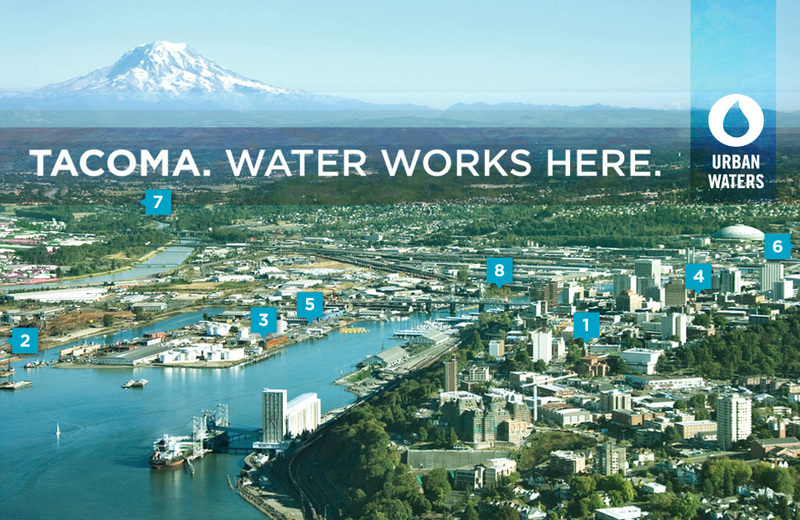 If it can make water work better, it works in Tacoma. By viewing the facility’s day-to-day activities through an environmental lens, the Port of Tacoma has developed models for water and land preservation that not only sustain natural resources, they sustain the Port’s place as an economic hub. One model currently in development is “tree in a box” technology to remove metals from stormwater runoff. Results show that native trees filter out 90 percent of zinc. This is the first time this low impact development technique has been used in an industrial setting. Here, world class laboratories are addressing an issue facing every coastal municipality in the world. 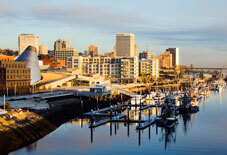 The mission of the Center for Urban Waters is to restore and protect urban coastal communities. Home to a team of leading scientists, researchers and engineers led by Dr. Joel Baker, the facility creates, evaluates, and applies the best possible scientific and engineering solutions in its own backyard with an eye toward global applications. 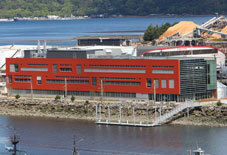 As a prominent fixture along Tacoma’s waterfront, the facility is home to City engineers, UW Tacoma researchers, and the Puget Sound Partnership – each focused on clean water technologies and solutions to protect and restore Puget Sound. Built to LEED Platinum certification, the building itself embodies what Tacoma is all about: scientific and urban advancement rooted in environmental sustainability. Dr. Joel Baker is Port of Tacoma Chair in the Environmental Science at UW Tacoma and Science Director for the Center for Urban Waters. Led by Dr. Baker, university scientists and students seek to understand and quantify the sources, pathways and impacts of chemical pollutants in urban waterways. UW Tacoma has distinguished itself as a model metropolitan university and enhanced the region’s business, social and cultural climate, gaining national recognition for improving its neighborhood and environment. A Washington State agency, this community effort of citizens, governments, tribes, scientists and businesses works together to restore and protect Puget Sound. The Puget Sound Partnership (PSP) has created an Action Agenda to prioritize cleanup and improvement projects. Governor Gregoire and the Washington State Legislature established the partnership to base decisions on science. Focusing on actions with the greatest impact, the group holds individuals and organizations accountable for results. Following extensive review, the agency elected to base itself out of Tacoma’s Center for Urban Waters because of its proximity to key stakeholders, access to ever-advancing technology, and parallel goals. The GTCTC’s trademark glass walls, breathtaking mountain and water views, impressive architectural details and high quality interiors anchor the facility in the heart of Tacoma. One of the largest meeting locations in the Pacific Northwest, the facility offers an impressive selection of usable event space including a 50,000 square-foot column-free exhibition hall, 25,000 square feet of ballroom & meeting space and more than 42,000 square feet of additional event space. Located within walking distance of over 400 hotel rooms (with more than 2,200 rooms located in the greater Tacoma region) the University of Washington – Tacoma, and in close proximity to the Center for Urban Waters, the GTCTC is surrounded by world-class dining, museums, shopping, day spas, art, golf and other attractions. Led by Dr. John Stark, the site is home to the WSU Low Impact Development (LID) Center, a collection of innovative LID stormwater structures including porous pavements, rain gardens, and rain water harvesting cisterns. Under Dr. Stark’s direction, the facility’s team of leading scientists and researchers work hand in hand with the Center for Urban Waters. 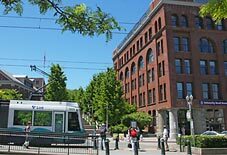 Working with city planners, this group has been able to retrofit sections of the Greater Tacoma area with low impact development techniques. Once home to the Wheeler-Osgood Mill, this 25-acre property located between downtown Tacoma and the Port has been revitalized into prime waterfront real estate ready for commercial use. These sites offer unique opportunities for office, R&D, manufacturing and water-related businesses. Located adjacent one of the largest container ports in North America, in close proximity to Seattle-Tacoma International Airport and footsteps from Downtown Tacoma, the property offers tenants both ease of access and a sense of community.